Posted on March 23, 2007 by deuts. 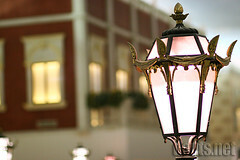 This entry was posted in Photography and tagged France, Mall, Photos, Shopping Center, Venice, Villagio. Bookmark the permalink. Thanks. But I haven’t gone to Las Vegas, hehe. Brader JOT kumusta na? Kumusta buhay dyan? me work layf balance ba dyan? O cge kahit work sleep balance na lang… bwahahaha!